The replacement teeth are usually attached to the dental implant when adequate healing has occurred and your jaw bone is firmly fused to the dental implant. Depending on a variety of factors, it may be possible to begin this phase of your treatment immediately or shortly after implant placement. We will review the most appropriate treatment sequence and timing for your particular situation. Your restorative treatment begins with specialized impressions that allow us to produce a replica of your mouth and dental implants. Often these impressions are made using intraoral digital scanning technology. We will also make “bite” records so that we see the relationship of your upper and lower jaws. With this information, we will make the abutments (support posts) that attach your replacement teeth to your implants. Various types of abutments exist. In the past, “off the shelf” abutments were often used. Currently, custom abutments are generally used and are made of titanium or gold tinted titanium. These are made specific to your space and provide for optimal retention of your future crown. In general, once your dental implants are placed, you can expect your tooth replacement treatment to be completed anywhere from 1 to 12 months. For these reasons, it is difficult for us to tell you exactly how much the restorative phase of your treatment will cost, although you should receive a reasonable estimate from our office. It also is difficult to give you a specific time-frame for completion of your treatment until after the implants are ready for restoration. Usually, an oral and maxillofacial surgeon places the implant(s) and performs other necessary surgical procedures – your general dentist provides the temporary and permanent replacement teeth. Both doctors are involved in planning your dental treatment. Also, depending upon a variety of factors, different dental specialists may help with your dental care. With a referral from your dentist, Rogue Valley OMS offers complimentary consultations to discuss your dental implant treatment. This will include an exam, a cone beam CT scan, and an informed consent discussion. If you request the CT scan to be used by another surgeon, then you will be charged for the study. At Rogue Valley OMS, the surgical fees are all inclusive and include sedation options as well as the majority of bone grafting options. For nearly all patients, this provides a much lower cost treatment plan than if each treatment was itemized. For example, often a sinus lift procedure costs greater than $1,500. At Rogue Valley OMS, in most cases, this is included in your implant fee. In general, a single dental implant to replace a missing tooth and the crown on the implant is generally slightly more expensive than a bridge to replace the same missing tooth. Before treatment begins, you will be given the fees for the proposed procedures. 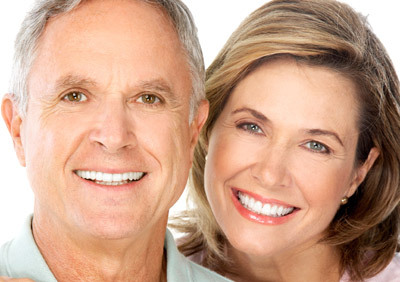 Your restorative dentist will place the final crown or restoration on your implant. From your dentist, you will be charged for the abutment or support post(s), plus the crown, dentures, or anything else that will be placed over the dental implants, including temporary restorations. Periodic maintenance such as hygiene visits, tissue conditioners, denture relines and other repairs will also incur additional charges. Each patient is unique, and it is not possible for us to discuss every option and every contingency for treatment outcome. This website section is intended to help you understand the general treatment options available to you. If your specific treatment options are not clear, please contact us. We will be happy to answer any questions you have about your care.